Thompson/Center Arms recently announced that it has introduced a new semi-automatic rimfire rifle: the Thompson/Center T/CR22 rifle. Expertly crafted for hunters, plinkers, and first-time shooters alike, the new T/CR22 rifle integrates a variety of high-end features into an innovative rimfire package. The Thompson/Center T/CR22 rifle delivers out-of-the-box performance through a feature set that appeals to hunters and avid firearms owners. The new T/CR22 rifle includes a green fiber optic front sight and adjustable rear peep sight for quick target acquisition, while the built-in picatinny-style rail allows for the mounting of an optic for precision shooting at longer ranges. 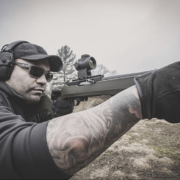 The rifle features a light, crisp trigger pull, button-rifled barrel, and a threaded muzzle that allows for the use of a suppressor or other muzzle device. The T/CR22 rifle is compatible with most aftermarket 10/22® accessories, and it’s modular design features a rugged, lightweight Magpul® co-branded OD green composite stock for quick handling. Chambered in .22LR, the new T/CR22 rifle ships with one 10 – round detachable \ rotary magazine, includesThompson/Center’s limited lifetime warranty, and is priced at an MSRP of $399. 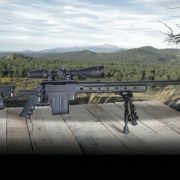 Performance Center enters long range category with new bolt-action, precision rifle. Performance Center and Thompson/Center Arms™ today announced the launch of a new bolt-action, chassis-style rifle – the Performance Center T/C Long Range Rifle (LRR). Co-developed by Performance Center and Thompson/Center Arms for extreme long range shooting, the Performance Center T/C Long Range Rifle is built on an aluminum chassis stock and is available in popular long range shooting calibers: .243 Winchester, .308 and 6.5 Creedmoor. The new Performance Center T/C Long Range Rifle will be on display at Thompson/Center and Performance Center Booths (Booth #8555) during the NRA Annual Meetings and Exhibits on May 4-6 in Dallas, Texas. Available in both a Black and Flat Dark Earth (FDE) finish, the new Performance Center T/C Long Range Rifle includes a one year limited warranty and lifetime service plan, ships with one 10-round detachable magazine, a Caldwell® Pic Rail XLA Fixed Bipod®, and soft case. 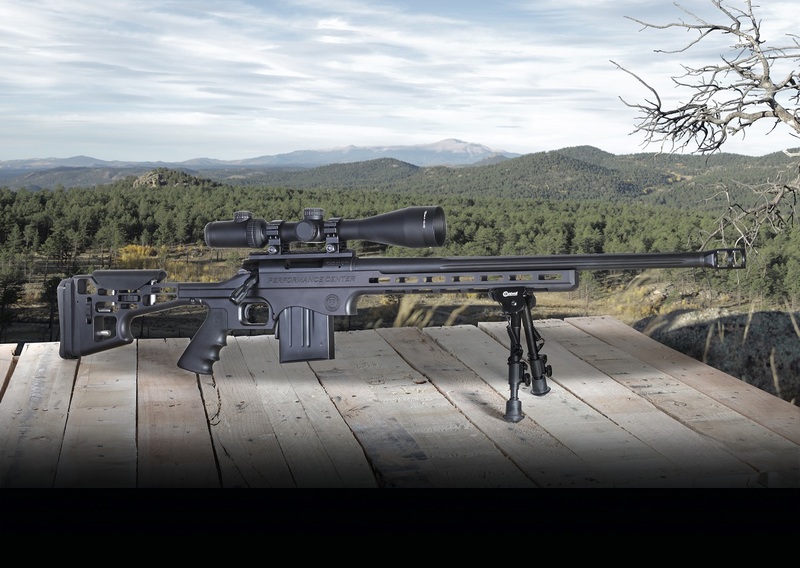 The Performance Center T/C Long Range Rifle is priced at an MSRP of $1,211 in all calibers and configurations.